It's a matter of great pleasure for every startup to commemorate the successful completion of 2 years of consecutive success. 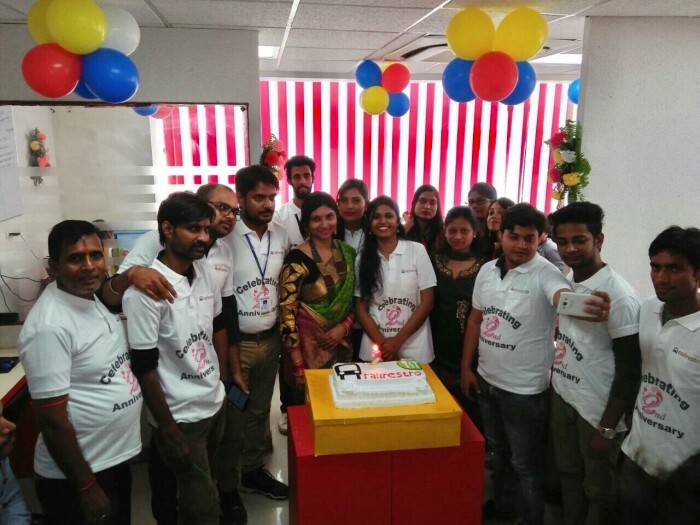 RailRestro, the official e-catering partner of IRCTC, celebrated successful scale-up, growth and development for 2 consecutive years on September 17, 2017. It's a time when the company founder looks back to all the decisions made during this time period and to judge what worked and what didn't. Talking about the roadmap that led RailRestro to the pinnacle of success, founder Manish Chandra says, "The roads are tough for every startup that sails into the sea of possibilities. You are faced with numerous situations, which can offer you a giant leap in shorter spans, but one needs to be careful. Success has no shortcuts and your decisions are the ones that will take you to the zenith." Order Volume: Total order count has reached a mega hit with 10 lakh food orders processed cumulatively. Growth Rate: RailRestro saw a growth rate of 200-250% in the last two years. IRCTC E-catering Premium Food Aggregator: RailRestro became the official premium food aggregator, which is un-matched in the e-catering sector. RailRestro Mobile App: The order flow further increased after the launch of the RailRestro Mobile App, which is currently available for both Android and iOS users. Order Processed for IRCTC E-catering's Food on Track App: RailRestro processed more than 3 lakh orders for IRCTC e-catering. Felicitation by GOI: RailRestro founder, Manish Chandra was felicitated for running a successful startup by the ministry of IT, Government of India. Food Delivery at Vijayawada station. Food Delivery at Visakhapatnam Jn. Food Delivery at Bhusawal station. Food Delivery at Jhansi station. Food Delivery at Vadodara Jn. Apart from the aforementioned locations, RailRestro aims to enhance its presence in major locations of South India. Some of these locations would include food delivery at Gudur, Tirupati, Guntakal, Nellore, Kazipet, Kozhikkode, etc. In case someone is unaware or hasn't tried ordering food in train from e-catering services, they can book food of their choice either by visiting RailRestro Website, RailRestro Mobile App or on call at +91-8102888111. RailRestro is an e-catering venture of Yescom India Softech Pvt. Ltd., with its head office located at Software Technology Parks of India, Near Sai Mandir, Patliputra, Patna , 800013.